Today my daddy said to me, "It's time you learnt to peck a tree. 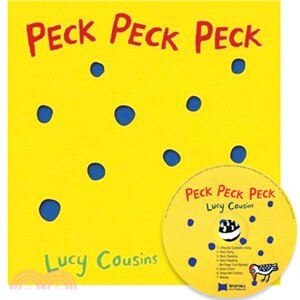 "Little Woodpecker has just learnt how to peck and - ooh! yippee! - what fun it is! Off he goes, on his first big pecking adventure, and he peck, peck, pecks his little heart out. He pecks the hat and then the mat, the tennis racket AND the jacket ... just LOOK at all the holes he has made! Comical, contemporary and original! A stunning new picture book title from Lucy Cousins, with colour so exuberant it leaps right off the page.